Good video quality at night. The entire idea behind buying a video baby monitor, in the first place, is being able to stay connected to your baby while pursuing tasks and goals that require your attention. While you could take care of some tasks from around your house, there are some that need you to get out. And this is when you lose the instant audio-video connection to your little one. That’s exactly what sets the iBaby Monitor M6 apart. The new design and technology of the iBaby M6 lets you go about your day and focus 100% on each goal you have and be able to always check on your baby with the touch of your finger. Because you will never have to constantly call home from the office again to check on your child, you’re most likely going to be a lot more productive, less worried, and ultimately happier. One of the most important aspects of video monitors is, you guessed it, video. A deciding factor when out comes to these products is the quality of the transmission. The camera lens plays a big part in this equation, and the TrueHD camera lens that iBaby put on the M6 allows you to watch over your baby in great detail, whether it’s day or night. You can easily capture fun moments in high-definition photos or videos. Apart from the fact that music will easily calm your baby, it is known to contribute to your child’s brain development. With the M6 you’ll be able to play her favorite music whenever you want, and you’ll also be able to record your own voice singing her favorite lullaby, because your baby is already accustomed to the sound of your voice. Hearing your baby, while seeing him, is very important. But being able to talk back, is a feature that impacts so many different situations, and makes life better. Think about the times your baby wakes up while sleeping, and only needs to hear your soothing voice to be able to go back to sleep. With two-way talk, you don’t have to get out of bed anymore. Your voice will be very clear and your baby will feel comforted sooner than you might expect. An issue that has been raising concerns in many parents, when it comes to wireless broadcast, is the ability of unwelcome visitors to snoop in on your transmission. The iBaby Monitor M6 uses the secure and reliable Amazon Cloud Server to add that extra, worry-dissolving, layer of protection against anyone trying to access your stream. Easy to install. If there’s only one thing that most parents of babies have in common, it must be lack of time. When your baby is young and you still get used to the feeling time can fly by like never before. The last thing you need is a product like a baby monitor to be overly complicated to install with an instructional manual that looks more like a dictionary. Most parents mentioned how easy they thought the installation process to be. The majority said they were able to get it up and running in under 2 minutes. Easy to use. Once installed, getting used to the iBaby M6 is seamless. 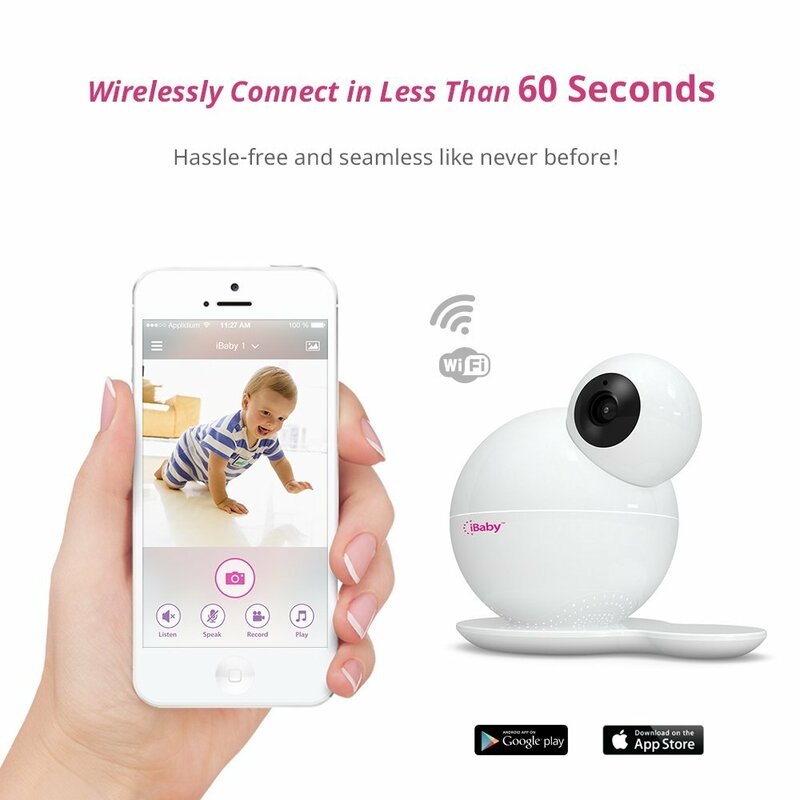 You can easily check on your baby from anywhere, and control the camera with your fingers. Most reviewers said that they found it to be one of the most convenient products of its kind. The majority of the parents that expressed their opinion about their monitor said they were very comfortable controlling it and using its different features. It only took a few hours for most parents to get used to their new monitor. User-friendly App for iOS & Android. The app that is paired with this monitor can be downloaded either on iOS or Android. You shouldn’t experience any difficulty downloading and installing the app. Many parents liked how user-friendly the app is. 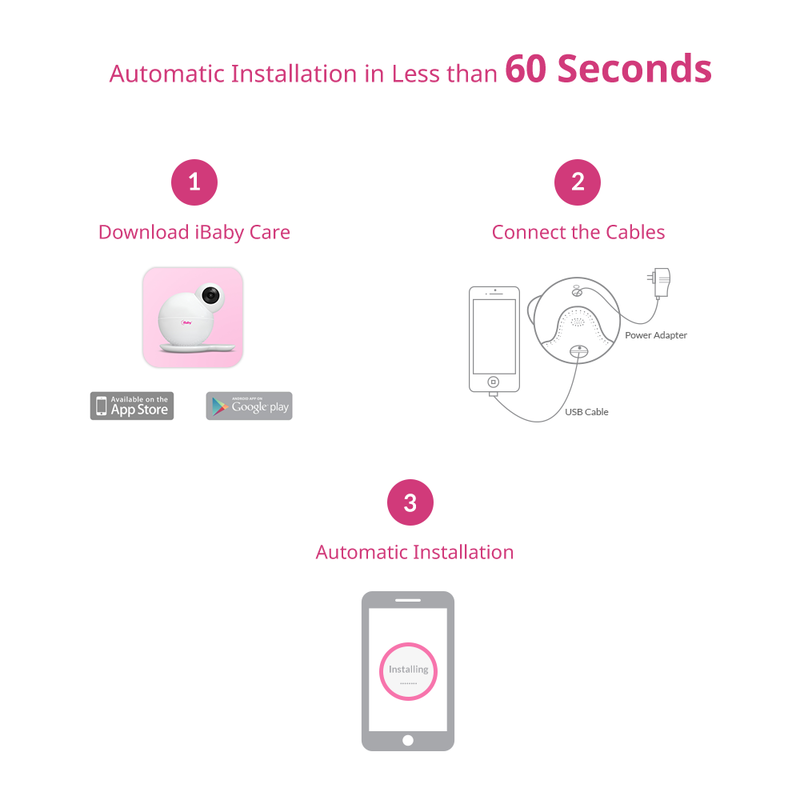 See the videos below for easy installation of the iBaby Care app on iOS and Android. The iBaby M6 is pretty well received by parents, and hasn’t had many complaints until now. A reviewer said that he would have liked it to come with a wall mount. Another parent said that would have liked it if you could combine more iBaby monitors on the same app. He said that he could see the stream form the M3 he already had on the same app as the M6. Overall, after taking a look at the pros and cons of the iBaby Monitor M6, we can safely conclude that it’s a very good choice for busy parents who are often away from home. The advantages clearly outnumber the disadvantages, making it a monitor you can recommend to any parent (who has a smart phone).